Free physical exams are offered at the Mendham High School health office throughout the school year. The physicals are performed in the mornings only, beginning at 8:45. Students who would like to take advantage of these physicals should see the school nurses to pick up sports forms and make an appointment for the school doctor. School physicals for the 2017/2018 school year will begin October 4, 2017. Please be aware that no student will be examined without the medical history portion of the physical form filled out and signed by a parent/guardian prior to the exam. Any medication, including asthma medication or epinephrine, must be listed at the top of the history page. Also, any student who has had a recent injury or illness must bring a doctor's note for clearance, no exceptions. A physical exam is required annually. If the physical exam was completed more than 90 days prior to the first practice, the parent must also complete a health history update form. Your physician may perform the physical exam, but the sports physical form and medical history must be completed and signed by the physician using the state approved physical forms. 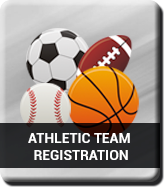 Please note that the sports forms have been updated by the NJ Department of Education and only these new forms should be used. Physical forms, health updates and consent forms hard copies must be returned to the Health Office in order for a student to be cleared for practice. All forms needed for sports participation are available through the links listed below, in the school health office, and on the athletics homepage of the school website. 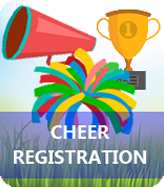 These are the only forms to be used for participation in sports. Please call the school nurses at 973-543-2501, x4490 for more information. Download your First Time Athlete and/or First Sport Season of the School Year Packet* HERE. Download the Acknowledgment and Consent Form* HERE. Download the Health History Update Form* HERE. Download the NJSIAA Steroid Testing Policy HERE. Download the Consent Form* (Steroid) HERE. Download the Impact Concussion Baseline Testing Instructional Letter HERE. Download the Opioid Fact Sheet HERE. Download the Consent Form* (Opioid) HERE. Download the Sudden Cardiac Death Pamphlet HERE. Download the Sports Eye Injuries Pamphlet HERE. * A hard copy must be turned in to the Health Office at designated sport season deadline.